Dr. Terry Wahls has one of the most inspiring stories I know about the power of food to heal the body. I decided to read her book as a way of encouraging myself as I work towards healing from mold exposure and other longer term health issues. Her book gave me renewed confidence in the effectiveness of a healing diet. So much so I am inviting you to join me in a FREE ten-day challenge partially inspired by her book (more on that below). I wrote about her story when her TEDx talk went viral a few years ago. In her TEDx Talk she discussed how she had very significantly overcome Multiple Sclerosis by radically changing her diet. If you haven’t watched her Ted Talk, I recommend that you do. (I have it posted here). She had declined significantly and acutely, was wheelchair bound, and had run out of the current medical options for slowing down the progression of her disease. She is a doctor herself, so being medically minded, and knowing that she wasn’t having the results she wanted with medication, she started researching all of the scientific literature. Through a long process, she was able to figure out what nutrients she needed. Working with her primary care doctor, she started taking supplements and had mixed results. They helped her from declining more, but didn’t help her get better. It was when she moved from supplements to adding specific nutritious foods into her diet that she started improving rapidly, and even incredibly. Food really is amazing. I recommend that you first watch her TEDx talk, and then I recommend that you read her book, The Wahls Protocol: A Radical New Way to Treat All Chronic Autoimmune Conditions Using Paleo Principles . But meanwhile, here are some bullet points that I wanted to highlight. The paleo diet on its own was not enough to help her heal. First, one of the things that she states that I find very important, is that while her diet is largely paleo, simply “going paleo” was not adequate for healing. Personally, I think that there can be such a focus on what NOT to eat, that we often lose track of what we should be eating. Dr. Wahl’s protocol does remove a varying amount of foods from your diet, but the focus is not on what you are removing but instead getting the right type of foods into your diet. Whether you are eating a Nourishing Tradition diet, are on the Autoimmune Protocol Diet, the GAPS diet, or The Wahls Protocol, the focus should be on the vital foods you need to be eating, not just taking junk food out. 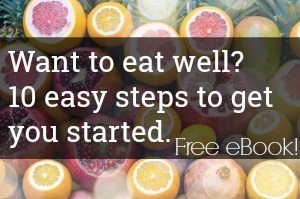 Dr. Wahls offers three different options for those wanting to use her principles for a healing, healthy diet. They move from easiest to implement to hardest. I appreciate that she tries to meet people where they are at, and believes that they can make a good change for themselves without having to go on the strictest diet out there. But all three of these options are built around the vegetable protocol she developed to help herself, and then her patients, get the nutrients needed to heal. On her diet you get a grand total of nine (less if you are a small woman) cups of vegetables every single day. But not just any vegetables in any amount. You are aiming for three cups of green vegetables, 3 cups of brightly colored vegetables and fruits, and 3 cups of sulfur rich vegetables (this includes the cabbage family, the onion family, and the mushroom family). What I find fascinating about this is that it mimics the clinical work of Julia Ross that she writes about in her book, The Mood Cure: The Four Step Program to take Charge of Your Emotions, Julia Ross tells us that eating plenty of vegetables is a very important part of her protocol for having good mental health. She recommends you eat at least 4-5 cups of vegetables every single day. I found her work interesting, because I know from personal experience that eating a LOT of vegetables makes me feel significantly better, especially with my energy. It’s not just about M.S or depression. We need a healthy, healing diet for healthy minds and bodies. Dr. Wahls makes the case in her book that science would point us to eating this way regardless of how ill-health is manifesting itself. I think for those with confusing health issues that don’t have a clear diagnosis, her words are encouraging. Regardless of what ails you, a healing diet may give significant help. So, with that said, I am inviting you to participate in a free ten-day email vegetable eating challenge! This challenge isn’t about perfection. It’s about making better choices and progress in our aim for a healthy diet. We will be aiming for 6-9 cups of vegetables (and fruits) every day during the challenge. Daily encouragement throughout the challenge. I’m not going to blog about the challenge every single day, but if you sign up for my newsletter, you will get short emails giving you resources, recipe ideas, and encouraging research to keep you going. The vegetable challenge will go from September 12th through the 21st. Thanks for joining the 10-day vegetable challenge! That is….a lot of vegetables! I imagine it would physically be quite hard to eat that amount? We’re doing the whole30 and even though we eat veggies three times a day I don’t think it would be anywhere near nine cups! I’d love to see a picture of this! Is it cooked or raw measurement? Six is a lot less than nine. I’d struggle to eat nine! I’m having a big salad for lunch and that’s probably 2-3 cups. It would be tricky to eat more! ???? That’s a really great question! For Dr. Wahls protocol, she recommends the nine cups for those who are taller (and for men). Petite women can often get away with just the six cups. For the Mood Cure diet, you have to double fresh greens when you count them. (For example, a three cup salad only counts for 1 1/2 cups of vegetables). Other than that, you can count them when raw. For the purpose of our challenge, you can pick anywhere from 6 to 9 cups for your daily goal, and you can measure them raw (including fresh greens). Very excited to do this. This is my first time eating “mostly/all” vegetables for an extended period of time. shall be interesting! My grocery carts are gonna be awesome to behold. I’d love to see yours and everyone’s plates/ideas.